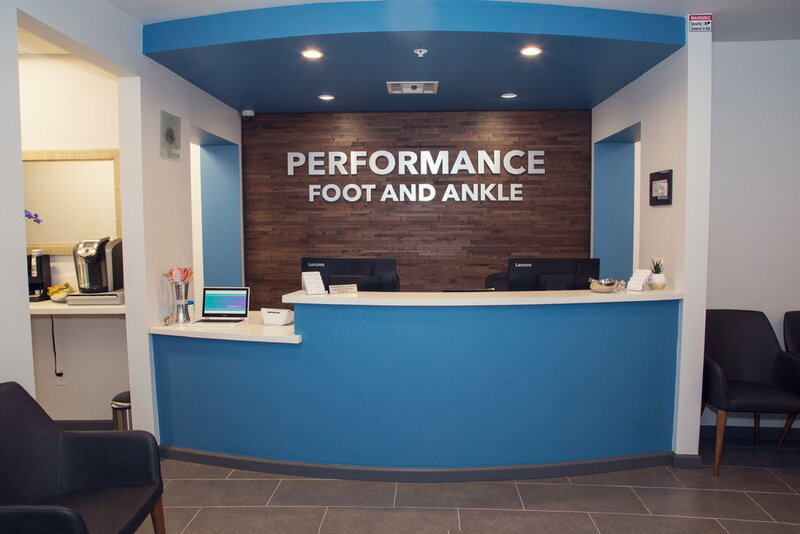 Comfort and convenience are the hallmarks of Performance Foot & Ankle’s office operations. To ensure your convenience, below is the information you need about our hours, location, appointment scheduling, insurance acceptance and billing. Appointments: Office hours are by appointment. Please call in advance to schedule. We will try our best to accommodate walks in and same day appointments. If cancellation is necessary, please provide us with 24 hours notice via phone or email listed below. Emergencies: We make every effort to be available for emergencies and provide in office x rays as needed. The Initial Consultation: At the time of the initial office visit, we need a little extra time to become familiar with your medical status. Even if you present with a minor problem, this can be important, so we schedule extra time for this interview. It is helpful to come 30 mins prior to your appointment to take care of paperwork. The above list is not fully inclusive, if you do not see your plan listed please call our office for further verification.